The cottages are just a short walk over the fields from the shore of the North Northumberland Coast, designated as an Area of Outstanding Natural Beauty and part of Lindisfarne Nature Reserve, where you can see Bamburgh Castle, Holy Island and the Farne Islands. 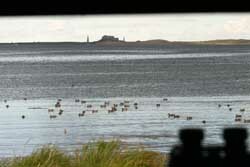 This is an important Nature Reserve with tidal mudflats, visited in winter by many wildfowl & waders. A bird hide is next to the shore. There are fabulous beaches very close. Elwick Farm, just 2 miles from the Al trunk road, makes an ideal base for touring Northumberland and is almost equidistant from the walled town of Berwick and the market town of Alnwick with the lovely Alnwick Castle & its new Alnwick Garden. 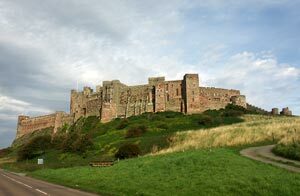 There is an abundance of other Castles, Bamburgh Castle being only 6 miles away, as well as many historic buildings in the area, not forgetting our many miles of uncrowded, golden beaches. 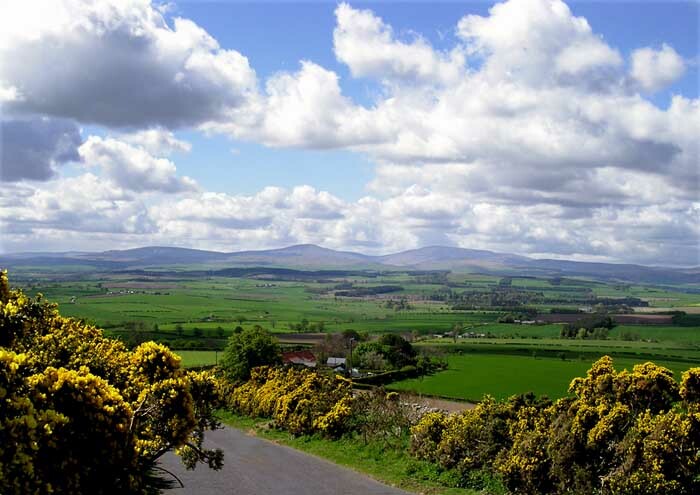 Travel only a few miles inland & you get to the foot of the Cheviot Hills & to the small town of Wooler, the base for hill walkers. Chatton Trout Fishery, between Belford & Wooler, has two lakes & no licence is necessary. 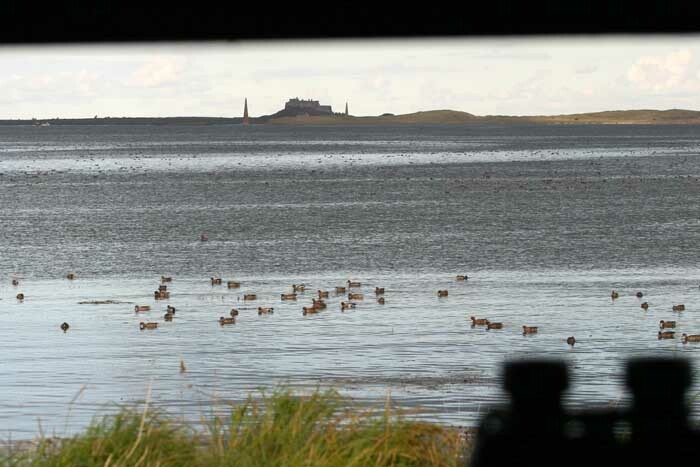 For birdwatchers the fishing village of Seahouses, 9 miles southwards, is the base for boat trips to the Fame Islands (weatherpermitting!) to see the famous seal colony, also puffins, terns, cormorants & eiders. 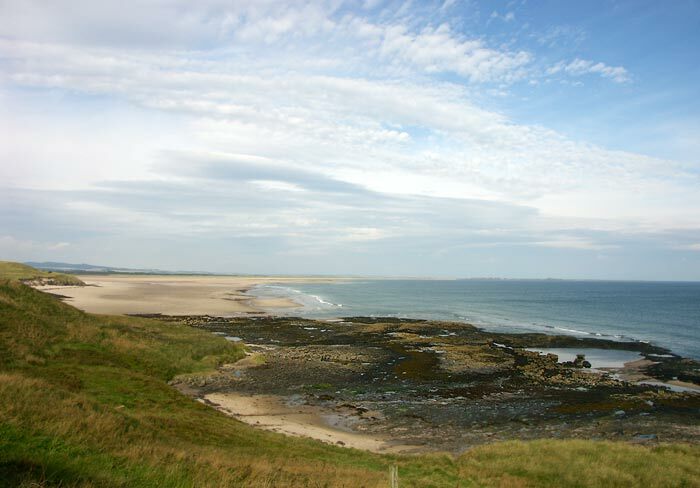 There are many golf courses in the area, Bamburgh, probably offering the most beautiful views of the coastline, as well as Goswick, Seahouses, Embleton, Foxton, Wooler & Belford. There is also a driving range at Belford. Let your children enjoy a day of arts & crafts and outdoor activities at Pot-A-Doodle Do acitivity centre, while you have time to yourselves to enjoy activities and attractions around Northumberland's stunning countryside. Horseriding is also a short distance away at Kimmerston, Swinhoe & Nr. Seahouses. 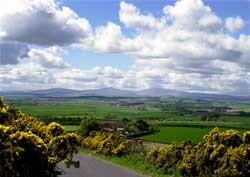 The Scottish Borders are half an hours drive north and Edinburgh is also within easy reach. Hadrians Wall is approximately an hour & a half drive south.